Shooting better photos is often a matter of technique, but sometimes the tiny integrated optics on your device just won’t cut it. This 3-in-1 lens attachment can provide that camera some added versatility. 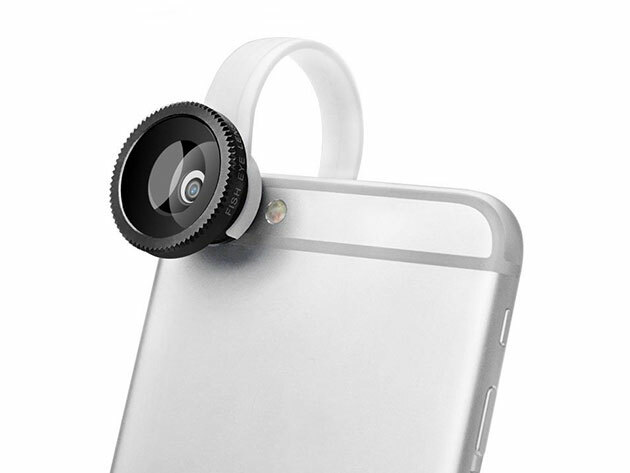 This lens accessory gives your phone an easily detachable mounting bracket for its collection of lenses. It uses a simple clip mechanism, so it works with almost any smartphone on the market without needing a specialized case or hardware. Squeeze tons of extra detail out of closeup shots with the included macro lens, or capture a more expansive field of view with wide-angle and fisheye glass lenses. With this 3-in-1 Lens Clip, you can get even closer to DSLR quality photos using only what’s in your pocket. Grab one from the Boing Boing Store for $9.99.